Salt Lake City, Utah – January 31, 2015 – Mike Bendix, Chief Executive Officer and co-founder of DFPG Investments, Inc. (DFPG), has been selected as the Alternative & Direct Investment Securities Association’s (ADISA) 2016 President-elect. ADISA, formerly known as REISA, is a national trade association with over 20,000 members who offer and manage alternative investments. The announcement that Bendix will serve as President-elect comes months after he was awarded ADISA’s 2014 “A Champion of Excellence” (ACE) award. ADISA’s annual ACE award recognizes an ADISA member who has reached the pinnacle of their career through accomplishments in their professional life, within the community, and the advancement of the industry and alternative investments. Prior to being named President-elect, Bendix served in several ADISA capacities, including the Executive Committee, the Due Diligence Forum, the Broker-Dealer Advisory Council, the Membership Committee, the Education Committee, and the Legislative & Regulatory Committee. Bendix says that the alternative and direct investments segment of the investment industry is often misunderstood by both financial professionals and individual investors. He says ADISA “exists to promote education” and “raise the standards of integrity” among those professionals offering or managing alternative investments. Alternative investments typically include non-traded REITs, real estate partnerships, real estate funds, Delaware statutory trusts (DSTs), tenant-in-common interests, oil and gas interests, and other securitized real estate investments. Bendix brings over 25 years of experience in the real estate and financial services industries. He currently serves as the CEO of DFPG, a national, full-service, independent broker-dealer, and as President of Bridge Equities, Inc., which is a branch of DFPG. Visit www.adisa.org to learn more about ADISA, or you can contact DFPG Investments, Inc. (DFPG) at www.dfpg.com, by calling (801) 838-9999, or you can email Nick Hansen atnhansen@dfpg.com. Securities offered through DFPG Investments, Inc. Member FINRA/SIPC. This is neither an offer to sell nor a solicitation of an offer to buy securities. The information on this site alone cannot, and should not be used in making investment decisions. Investors should carefully consider the investment objectives, risks, charges and expenses associated with any investment. Mike Bendix speaks at a private event (seated to Bendix’s left: Mitt Romney; DFPG’s President, Ryan Smith; Gov. Gary Herbert and First Lady Herbert). DFPG’s principals hosted a special event with Mitt Romney in Utah last Wednesday evening (1/21/2015). 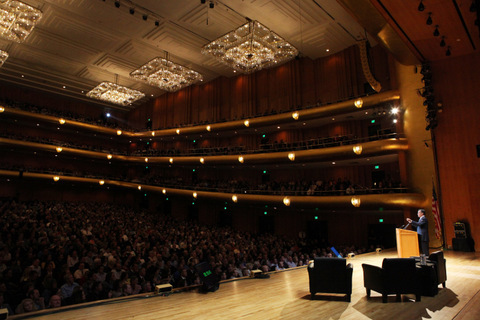 The event took place at the historic Abravanel Hall, located downtown Salt Lake City, Utah. A crowd of nearly 3,000 attendees, including many local and national media outlets, filled the hall for an opportunity to hear important messages about today’s economic climate. 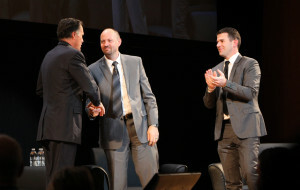 The event was titled “A Night with Mitt Romney: Learning to Navigate Today’s Economy,” and featured presentations from DFPG principals Ryan Smith and Dan Luke; the Governor of Utah, Gary Herbert; and the former Governor of Massachusetts and 2012 Republican nominee for president, Mitt Romney. The evening was hosted by DFPG’s vice president of business development, Nick Hansen. 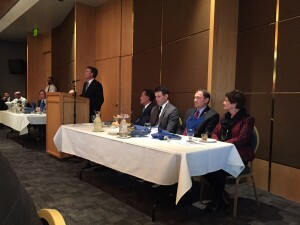 Prior to the sold-out event in the main hall, DFPG hosted a smaller dinner event with Romney, Governor Gary Herbert, and a group of Utah business leaders. DFPG’s CEO, Mike Bendix, led this private event, which included some opening remarks and then introduced Romney for a unique Q&A session. During this time, Romney answered questions regarding his experience in business and politics. He shared stories about mentors, lessons he has learned, and finding the right balance in life. For example, Romney shared how he always left his briefcase in his car when he came home from the office, in order to spend more focused time with his family. 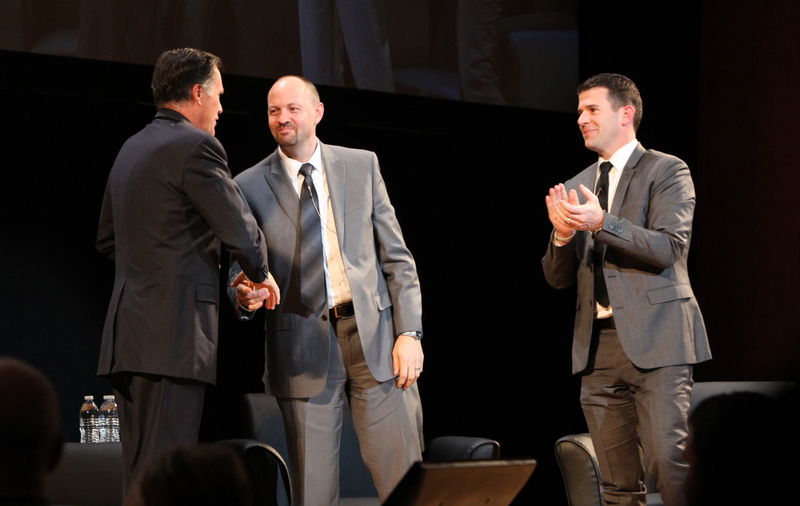 DFPG principals, Dan Luke and Ryan Smith, shake hands with Mitt Romney after a Q&A in front of a crowd of 3,000 at Abravanel Hall. Following the private event, the crowds began to fill into the main hall. The central message of the evening was how the individual investment and financial decisions made within the four-walls of our own homes impact the local, national, and global economies. Each of the evening’s participants tailored their individual presentation to help deliver this important message. DFPG’s principals, Ryan Smith and Dan Luke, used their presentations to focus on the individual investor and personal finance. Following Smith and Luke, Governor Gary Herbert spoke on the state of the Utah economy, during which he received ovations for a positive report on a strong and vibrant state economy. After a short intermission, Romney shared a presentation on several global and national economic topics, which included national debt and GDP, education, and household income. Romney addresses a sold-out audience at Salt Lake City’s historic Abravanel Hall. To the delight of everyone present, the event ended with an engaging Q&A session with Romney, which was moderated by DFPG’s Ryan Smith and Dan Luke. Smith and Luke drew their questions from attendees who had submitted them in advance. For nearly 40 minutes, Romney offered candid answers to a wide-range of questions, including advice on career management, personal finance and money management, and his hope for the future of the country.